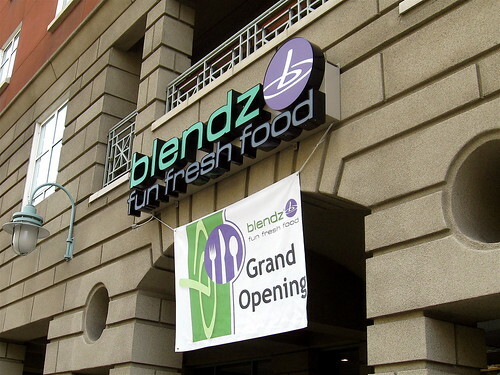 It looks like Blendz (healthy quick food restaurant) in Downtown San Jose is back in business and under new ownership. It has been closed for quite some time, but I noticed employees in there over the weekend and their Yelp page is advertising a grand opening on April 28th, 2011 from 4-6PM. You can find the restaurant at 132 E. San Fernando Street right next to Whipps. They are playing with my emotions! I'm glad they are back. Also read in the most recent Metro that the owner of The Flames is going to open a higher-end Greek bar/resto at the E&O site!